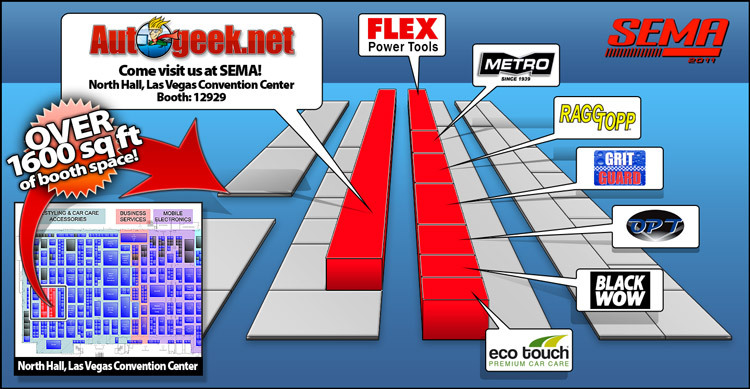 The Specialty Equipment Market Association, aka SEMA, is something that every automotive enthusiast or car care aficionado should attend at least once in their life time. 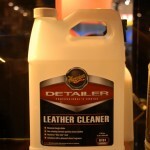 Besides being the hot spot for cool cars and the central location where all the big names in the industry get together to discuss anything and everything automotive, SEMA is also the place to be if you want to see the latest and greatest products and services being introduced from some of the most well-known and respected names in the industry. 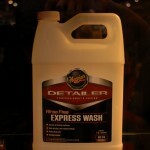 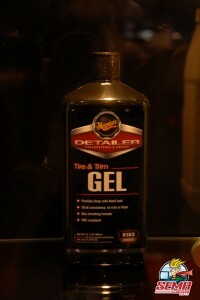 If the anticipation has been driving you nuts and you simply can’t take it any longer, rest assured the man with the Nikon camera, Yancy, was first in line to capture all the newest products being introduced from Mothers and Meguiar’s. 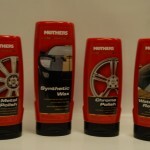 Check them out below and be sure to stay tuned for updates as new products from other manufacturers are also being introduced. 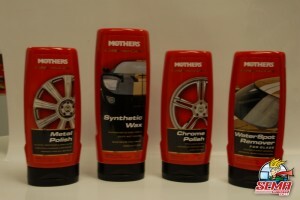 From left to right: Metal Polish, Synthetic Wax, Chrome Polish and Water Spot Remover. 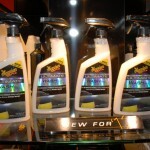 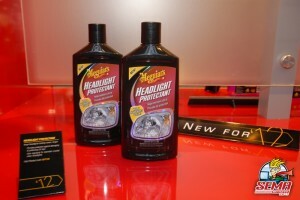 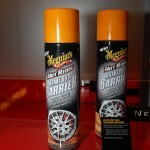 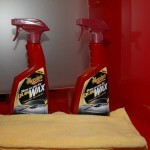 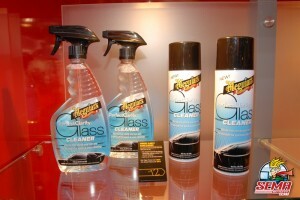 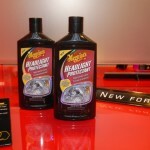 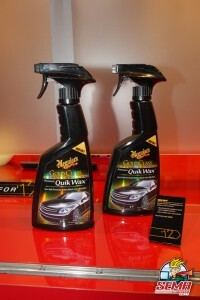 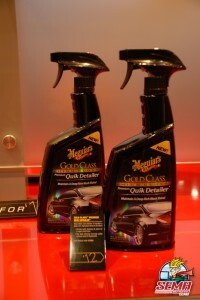 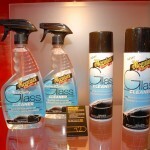 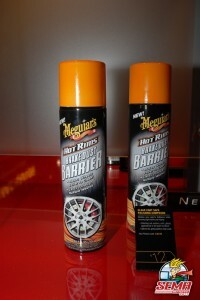 Meguiar’s Perfect Clarity Glass Cleaner (available in pump spray and aerosol). 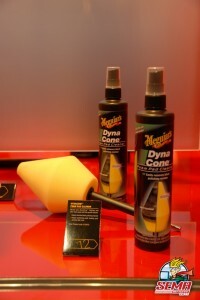 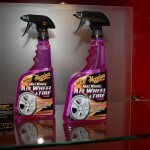 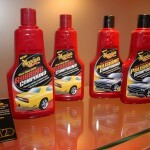 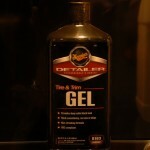 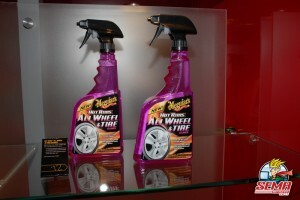 Visit Autogeek at the SEMA Show 2011! 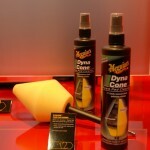 In 2008, Richard Griot of Griot’s Garage stopped by the Autogeek booth to meet Max. 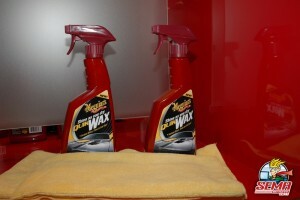 Barry Meguiar and Max met in 2009. 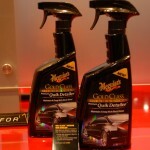 In 2010, the hosts of Two Guys Garage, My Classic Car, TRUCK U, and Motorhead Garage all joined us at the Autogeek booth. 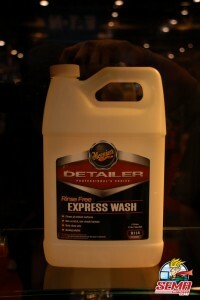 You never know what will happen at the SEMA show! 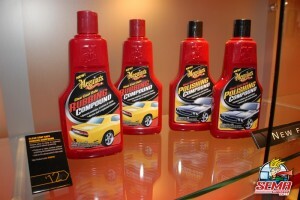 Visit us in the North Hall of the Las Vegas Convention Center at booth 12929. 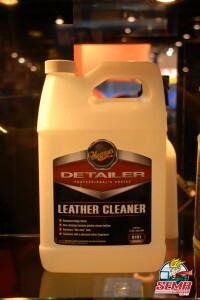 SEMA 2011 is November 1-4, 2011 in Las Vegas, Nevada.